A blog dedicated to bringing attention to adoptable pets in the Miami Valley! Big Pup & Little Pup! Looking to add some extra love to your life as Valentine's Day approaches? Look no further! A Dream 4 Pets volunteer rescued a terrier mix named Phoebe from a local shelter...and as it turns out, the shelter had Phoebe in with unneutered male dogs, so Phoebe surprised everyone by giving birth to two super-adorable puppies! Both are good with children, cats, and other dogs. They like women & children but have had little interaction with men - which isn't to say they won't like men, too! They are high energy and LOVE chew toys, and have exhibited no aggression issues. They sleep inside on dog beds and are used to being crated during the day. If you're interested in either of these sweethearts, please contact Julie Deal at JKDeal62@gmail.com! I first met Jack nearly a year ago, while volunteering at a cold, dark warehouse on Clark Avenue in Piqua. He was one of 108 dogs rescued from a hoarder who'd been masquerading as a rescuer. At the time, Dog #75 was the shyest dog I'd ever met. His pen was on the block of pens I usually was assigned to, and often I'd be the one to put a leash on him and take him for small walk around the warehouse to give him a chance to stretch his legs while my fellow volunteers gave him fresh bedding, food, and water. Most of the dogs there jumped at the chance to get out and explore. But not Dog #75. He had to be coaxed out of his pen, and then he couldn't wait to get back in to a place where he felt safe. Lucky for Dog #75, another woman who volunteered with the dogs realized he'd need some extra time to adjust to his new life and all the new experiences. She knew he wouldn't do well in a shelter environment, so she decided to foster him, named him Jack, and gave him a safe place to live until he was ready to find his forever family! Just look at Jack now! "In March 2011 we rescued a 3 year old male German Shepherd mix from the Piqua, Ohio warehouse. He came from humble beginnings. We named this shy boy Jack. In the past 4 months Jack has become a more trusting dog. We knew this would take time and he still has more wonderful things to learn and enjoy. He is a medium sized dog weighing 47 lbs. The first 2 goals have been met. We feel it is time to secure that special permanent home for Jack." 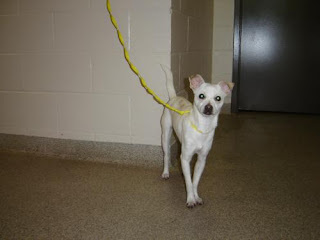 * We took him tou our vet at Tri-County for a complete check up. He has been neutered. * Jack is in very good overall health. Both ears had very bad infection when we got him. They are "clear" at the time. Our vet said he should not have a lot of reoccurring problems, but keep your eyes on them. Jack was very good when we treated and cleaned them. He loves his ears rubbed. 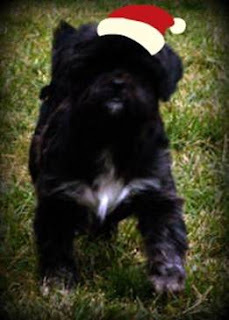 * We had him professionally groomed and he was great when we bathed and brushed him! * He loves to go for walks and does very well. He is learning to stop before walking across the street. Jack is EXTREMELY SMART in many areas! * He does not jump up on people. He barks at times when he hears noises and happy barks when we come home. * He is a very sweet boy with a gentle nature. He loves to be loved! * From what we have observed he does well around children"
"We have let Jack acclimate to our family and dogs in his time with some loving encouragement. 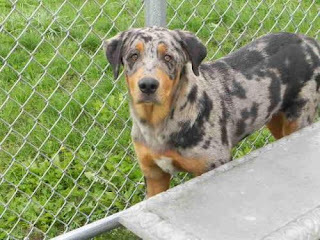 He will make a wonderful companion and family member. ﻿Jack started out doing fine in a crate, which is where he wanted to be at first. Now, however he does not like being in it at all. He does extremely well out of it. No accidents in our home. What else is wonderful - he does not chew on anything. 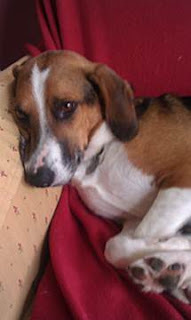 Jack needs to go to a home where he will truly be a part of the family. We do not want him in a home where he would be chained up or kept in a kennel. If interested, call (removed after adoption). You may leave a message and we will get back to you asap. 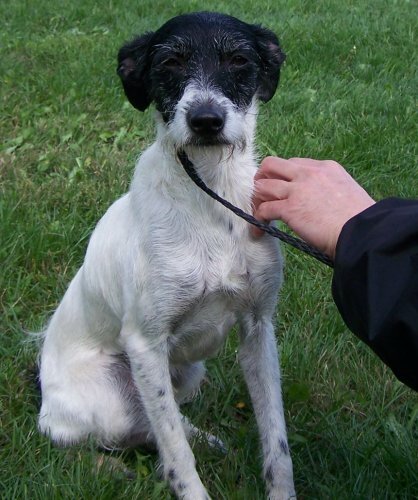 If you would like to give Jack a new home, please contact Peggy at the phone number above! Gorgeous German Shepherds Need Rescued! 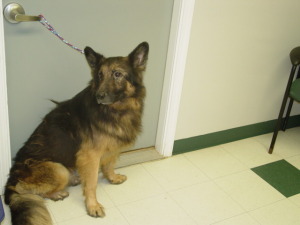 I received an e-mail about three gorgeous German Shepherds stuck in a kill shelter in Lancaster, OH. While that's not exactly "Miami Valley," all dogs deserve a good home - so if you're in the Lancaster area, please consider giving these dogs a good home! 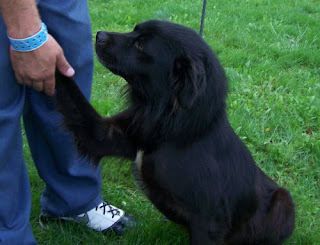 Bo is owner-released, 5 years old, housebroken, and good with other dogs & older kids. They're not sure how he is with cats! 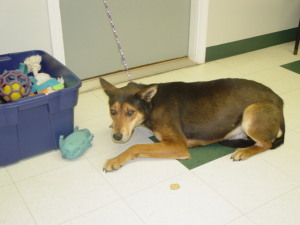 Sheen was also owner-released and is approximately one year old. He was an indoor dog but due to his owner's schedule he had to be left outside. 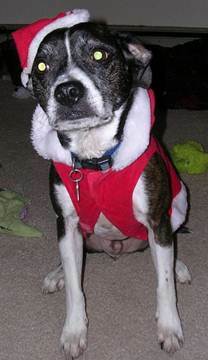 Ty came into the shelter as a stray, so not much is known about him - but he sure is cute! 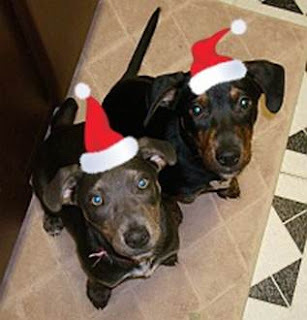 Pickerington, OH Pooches Need Homes for the Holidays! 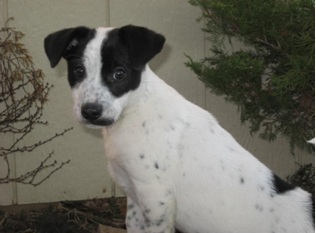 Tippy is a 4 month old, 8lb Rat Terrier. She is a dainty little princess while still being a rabble-rouser tomboy. Tippy is non stop action, no matter who gets in her way. At the park she is happy to hang out with you inside your jacket (since she is so little she gets cold easy) but just like a wind-up toy if you set her down she will zip off to wrestle with the first pup she sees. Tucker is just about the sweetest old man ever! He is Boston/Beagle, 22lbs and 9yrs old. But don't let that age fool you, he is still the fastest dog at the park! He is all action at the dog park but take him home and he'll curl up next to you and keep you warm all night. He does have the middle age male pattern baldness going where he is naked on the bottom, his belly and chest are silky smooth baldness but the rest of him is thick, lush brindle and white fur. PS: He ignores cats and loves kids! Joey has officially been voted "The Most Loving Dog Ever". He is a Basset/Beagle, 30lbs and 2yrs old. If Joey was a person, he would be Gandhi. He can sit under a tree for hours just watching the squirrels play in the trees. Joey is the most peaceful dog ever. He could care less about cats and the only thing he wants in life is to be held like a teddy bear when you sleep at night. He would be the perfect dog for a child. Great pup………good with other pups! We are Min Pin Mixes and will stay small! I love to play…….. so you better be ready. I love playing with other pups until they drop! I would love to have a family…….. I am a good boy………. Foster brothers, but I also love to cuddle! I just wanted to post a quick entry to let everyone know that my father-in-law passed away suddenly and VERY unexpectedly on Saturday, November 5th. I am not sure when I will resume my regular posting of pooches - but in the meantime, if you are looking to adopt a new best friend, please visit the local shelter sites listed under my recommended links! 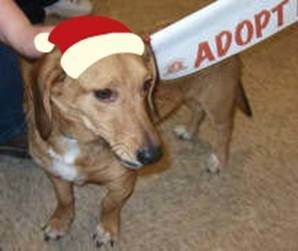 Adopt-a-thon Alert! Saturday, November 5th, 2011 at TSC in Troy, OH! You can also meet adoptables from lots of other organizations - maybe you'll find your new best friend! While you're there, be sure to visit the Dream 4 Pets booth and check out their binder of adoptable dogs - obviously all the dogs can't go to the adopt-a-thon, but you can see pictures and read the profiles of dogs in need of homes! I will be updating soon with profiles of several dogs in foster care, and also catch up with promoting adoptable dogs in area shelters! Stay tuned...but until then, be sure to visit Tractor Supply Company in Troy, Ohio on Saturday from 10 to 2! FOUND!! 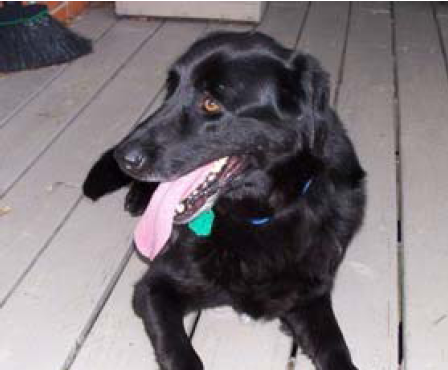 Male Black Lab in Troy, OH - Do you know this dog? It seems like the Black Labs in Troy have decided to have adventures this weekend! 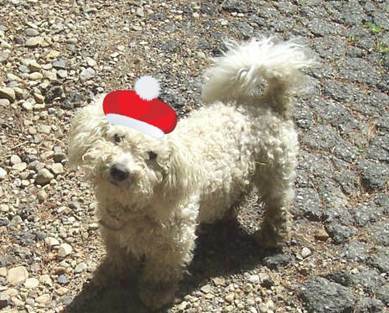 Take a look at the pic below and see if you recognize this sweetheart! 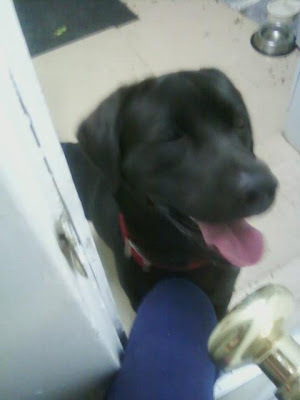 FOUND: Male Black Lab with red collar about 3 years old on E. Franklin Street. Let me know if he's yours - my friend Julie found him! 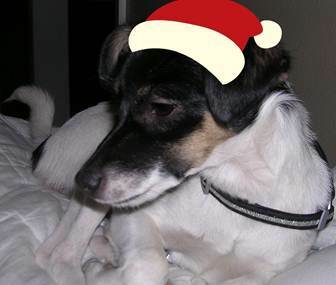 :) He's staying with her friends John and Lestie - hopefully we can get him back to his family ASAP! Please check with anyone who has a dog of this description in the Troy area!!! If you know this dog, please post a comment on this entry or e-mail me at miamivalleydogblog@gmail.com! 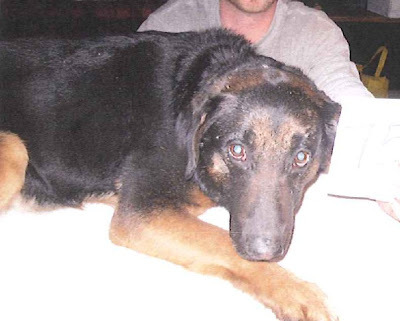 **UPDATED 10/15/11** This lucky dog's owners called the Miami County Animal Shelter last night & left a message on the answering machine. This morning, MCAS called the owners back and gave them the phone number of the man who found the dog & kept her safe overnight. 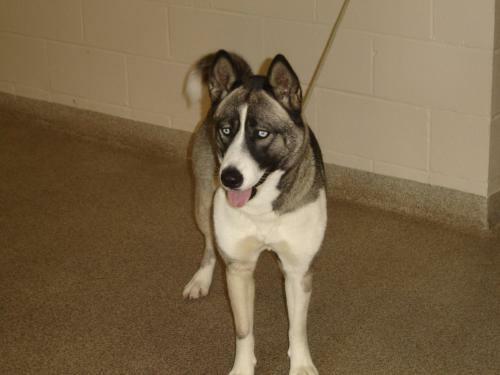 As of around 8:30 this morning, her owners were en route to pick her up! I'm so glad this sweetheart got the happy reunion she deserved!! 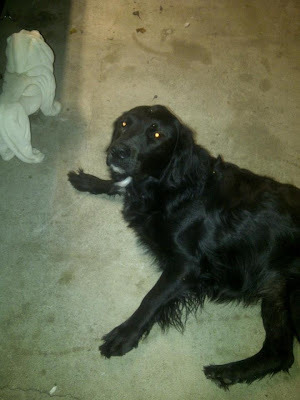 FOUND DOG! A friend of a friend found this black lab found on Rt. 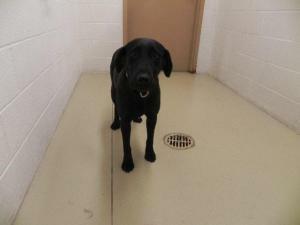 55 near Troy, OH tonight- please check with anyone you know who owns a lab! Female, pink collar with white polkadots, approximately 3 years old. VERY friendly and gets along with other dogs - the person who found her can't keep her and is taking her to Miami Co. shelter tomorrow. If you know her owner, or can temporarily foster her until we've tried to find her owner, contact me ASAP! And please share with anyone who might know the pup or be able to help! Thanks! Missy and Brody Need Foster or Forever Homes NOW! Today at the adopt-a-thon at SuperPetz, I met two great dogs from the Shelby County Animal Shelter who are in DESPERATE need of foster or forever homes! They are considered "URGENT" because they've been there the longest, so they need someone to save them! If you'd like to foster or adopt one of these sweethearts, please contact the Shelby County Animal Shelter at (937) 498-7201 or shelbycountyanimalshelter@yahoo.com! 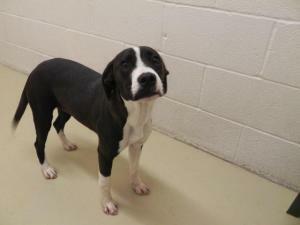 She's a 6 or 7-month-old Australian Shepherd/Hound mix who was turned into the shelter by her owners. They were older an unable to train her or pay to put her through obedience school, so they relinquished her to the shelter. They'd had her since she was a puppy - she's sad they didn't realize she'd need a little guidance! "That Milkbone was delicious, may I have another?" ﻿(This picture cracks me up! She was really interested in my camera!) 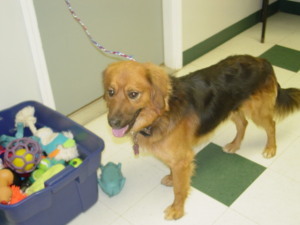 Missy is very sweet and gets along well with other dogs! She was having a great time at the adopt-a-thon playing with another Shelby County Shelter dog - May, who's currently in foster care. Missy is good on a leash, and likes to get and give hugs and kisses! If you'd like to give this sweet girl the home she deserves, please call the shelter as soon as possible! Also in need of a foster or forever home is Brody! 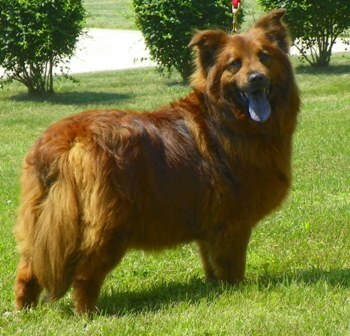 He's a 1 or 2-year-old Collie/Chow mix who shouldn't get much bigger than he is now! Brody seems to get along well with other dogs, is good on a leash, and can sit when told - so he's definitely still at a trainable age! Brody would happily hang around you all day if you would let him! Both of these sweethearts need homes as soon as possible - please call the Shelby County Animal Shelter at (937) 498-7201 if you're interested in adopting! First up is Pippen! 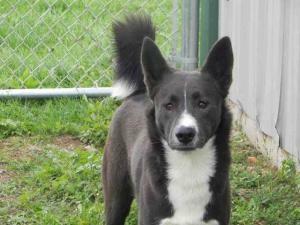 She's a 1 or 2-year-old Akita mix who was found running loose in Piqua and will be available for adoption on 9/30/11! ﻿Next up is Riggs! This sweet old boy is a German Shepherd mix (he looks like a Lab to me!) and while there's no further information on his profile, I'm sure he's still got lots of love to give and would love to have a new home! Meet Callie! 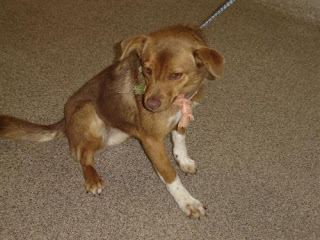 She's a 1-year-old Australian Shepherd mix who was found running loose and will be available for adoption on 10/1/11. She is a sweet and mild-mannered girl! This little sweetheart is Cricket! 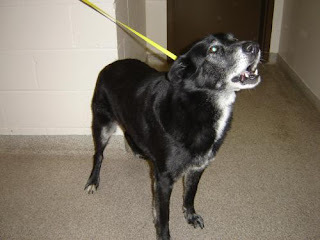 She's a 5 or 6-year-old Spitz mix who was found running loose in West Milton and will be available for adoption on 9/30/11! Next up is Chloe! She's a 1-year-old Australian Shepherd mix who was found running as a stray and will be available for adoption on 10/1/11. She is very friendly and very sweet! This little cutie is Cody! 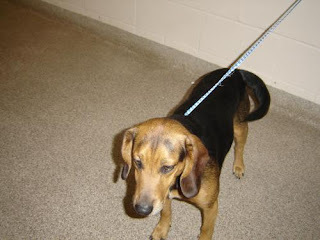 He's a 3 or 4-year-old Beagle mix who was brought in as a stray. He's a friendly and outgoing boy! 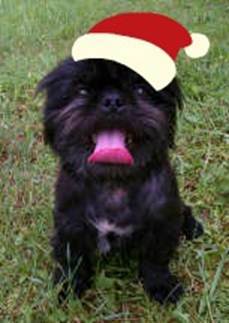 This sweet little guy is Willy Jo! 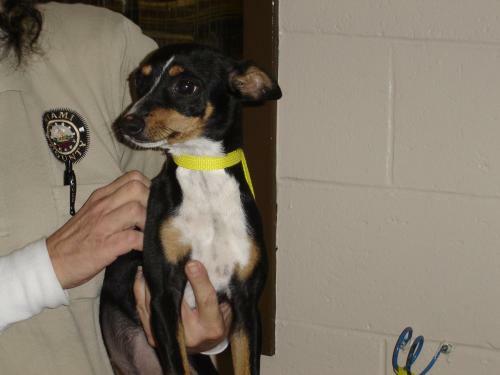 He's a Chihuahua mix who doesn't have any other info in his profile - but if you call the shelter they'll be happy to give you more information about him! Next up is Missy! 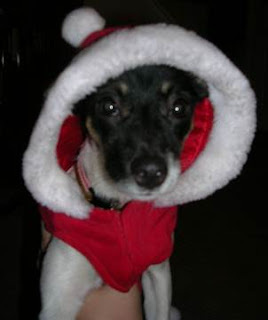 She's a Jack Russell Terrier/Chihuahua mix who has no other information in her profile - call the shelter to ask about her if you've fallen in love with her sweet face! Meet Inky! 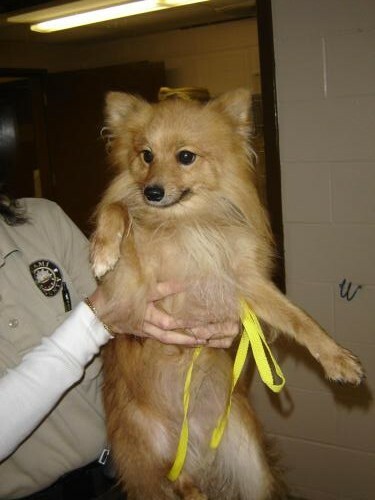 He's a Pomeranian mix who has no other info in his profile - call the shelter if you'd like to give this sweet boy a new home! This gorgeous boy is Sam! 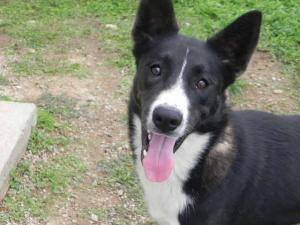 He's a 2-year-old Australian Shepherd mix who has very unusual, unmistakeable markings! He is a very friendly and wonderful young man - the shelter staff says you can't help but fall in love with him when you meet him! ﻿Just look at the sweet face on Teddy! 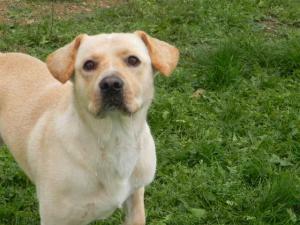 He's a 2-year-old Yellow Lab who is neutered, current on all his shots, housebroken, and good with kids! He doesn't care much for other male dogs, and just needs a new home where someone can spoil him with the love he deserves! This gorgeous little guy is Axle! 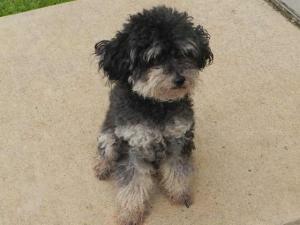 He's a 6-year-old Poodle mix who only weighs about 15 pounds. He'd love to curl up on your couch! This lovely, long-eared lady is Sally! 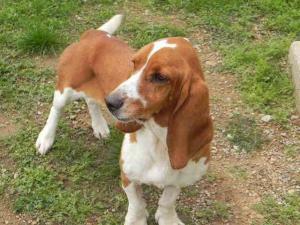 She is a 4-year-old Basset Hound who is a sweet girl & would make a great companion! She loves to play and is looking for a good home! Meet Nelson! 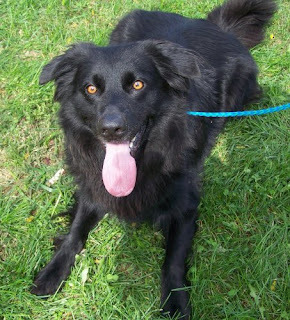 He is a 5-year-old Lab/Collie mix who is a wonderful dog. He loves people! He loves to play and just needs a good home! This sweet boy is Hank! 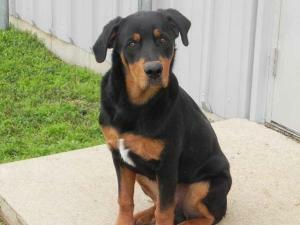 He's a 1-year-old Rottweiler who weighs around 80 pounds. He likes people and he will make a great companion! Meet Shilo! 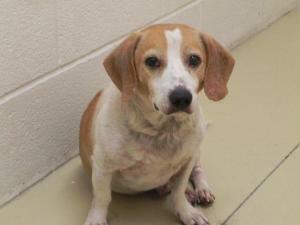 He's a 9-year-old Beagle who has lots of love to give! He's housebroken, current on his shots, and good with kids! He just needs to find a new forever family! This lovely lady is Marty! She's a 2-year-old Shepherd mix who weighs around 70 lbs. She's a friendly girl & is looking for her new best friend! Next up is Susie! She's a 9-month-old Lab/Boxer mix. She is a friendly little puppy who loves to play! Check out the gorgeous smile on Abe! He's a 2-year-old German Shepherd/Spitz mix! He's a friendly guy who loves attention! This gorgeous gal is Ace! 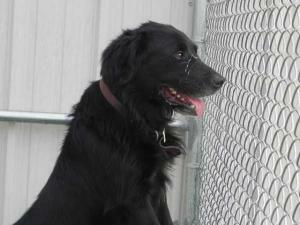 She's a 1-year-old Black Lab who loves people, loves to play, and will make a great companion! Meet Rocky! 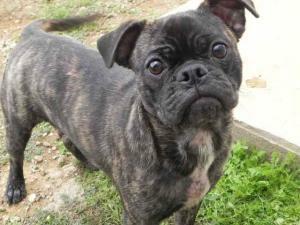 He's a 7-month-old Pug with a brindle coat & white chest. He's a friendly little guy who weighs about 20 pounds and will make a great companion! Meet Spike! 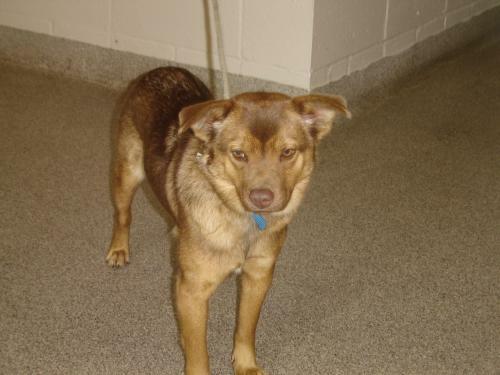 He's a 2-year-old German Shepherd/Spitz mix. The shelter staff describes him as very friendly and very happy! Adorable puppy alert! 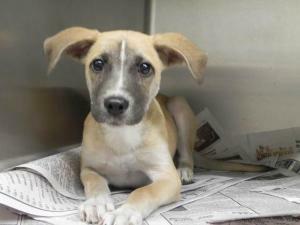 This little sweetheart is Sparky, a 3-month-old Boxer/Lab mix! 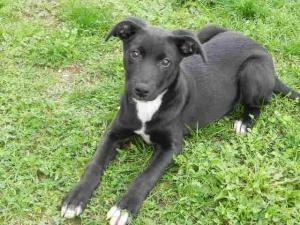 He's current on his shots, is very playful, and will make a wonderful lifelong companion! Meet Tank! He's a 4-month-old Lab/German Shepherd mix! He's current on his shots, good with kids, and is a friendly little guy! Meet Izzy! 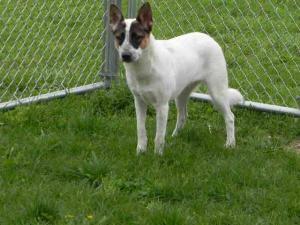 She's a 3-year-old Blue Heeler mix who is a friendly girl & is good with kids. She's full of energy & will make a great walking companion! This lovely lady is Libby! 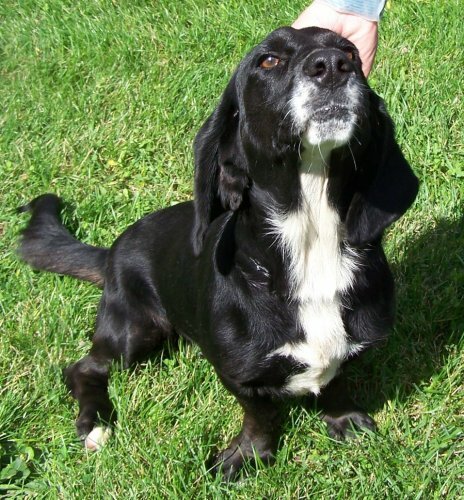 She's a Labrador Retriever/Basset Hound mix - very unique! The shelter staff says she's really adorable! If you'd like more information about her, call the shelter! ﻿Meet Pippen! He's a Collie/Australian Shepherd mix. He's already neutered, and appears to have been a housedog because his coat is very silky and well cared for. He LOVES to play with squeaky toys! This polite fellow is Brody! 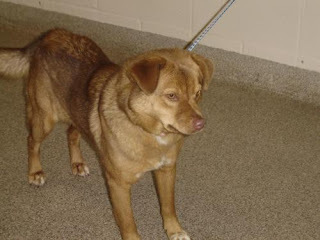 He's a 7-month-old Collie/Chow Chow mix who the shelter staff says seems like a nice dog! Last but not least is Lucky! 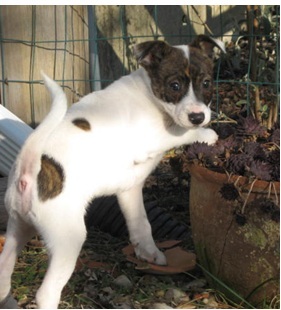 He's a Jack Russell Terrier/Whippet mix. Unfortunately his owners turned him into the shelter because they were having trouble potty training him. 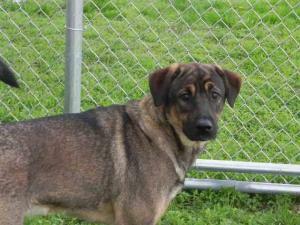 He's already neutered and does well with other dogs. He's scared to be in the shelter but tolerates being handled and warms up to you when in a quiet place. He just needs a safe new place to live! I'm a dog lover who decided to start blogging in an effort to bring attention to adoptable animals in the Miami Valley (Ohio) area! You can contact me at miamivalleydogblog@gmail.com !